UGA Stickers: Back At It! Here at UGA, the start of September means the start of football season. And at the NMI, a new football season means a new update for the UGA Stickers iMessage app! What started two years ago as a Capstone project has now reached almost 12,000 members of the Dawg Nation. 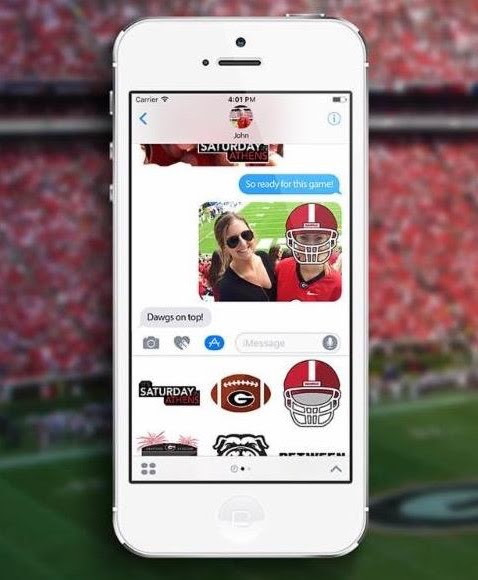 UGA Stickers 3.0 is a great way to cheer on the dawgs while adding some flair to your iMessages. The latest update includes stickers for the entire 2018 season and the updated look for the new Sanford Stadium scoreboard! Download UGA Stickers before the game this Saturday so that even your iMessages can bleed red and black.